While there is quite a bit of time before the all-new Audi Q7 is officially unveiled, the automobile community will not rest. 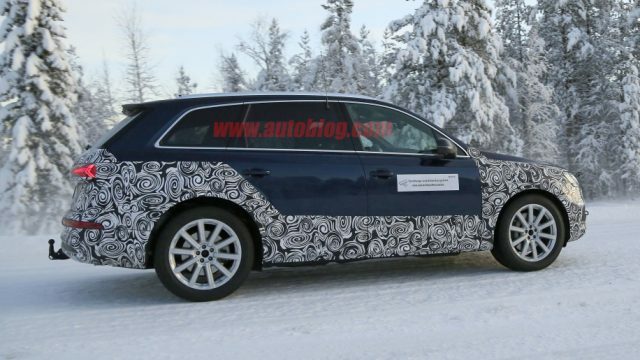 A batch of spy shots of the upcoming 2020 Audi Q7 has arrived that reveals a lot about Audi’s intentions for the Audi Q7’s next iteration. 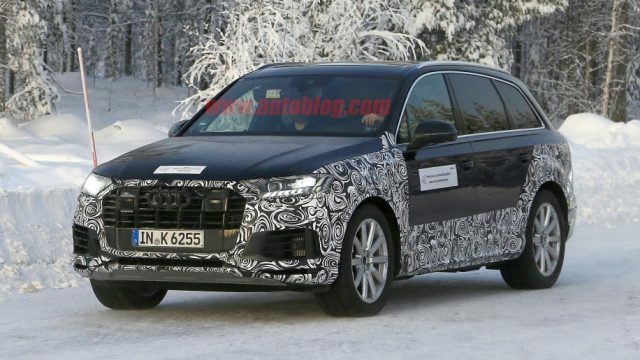 As seen in these images, the 2020 Audi Q7 will feature a lot redesigning. We know that Audi has already introduced new and refreshed versions of the Audi A6, A7, A8, and the Audi Q8. It’s not a surprise that the automaker is going to refresh the design of the Q7 too. 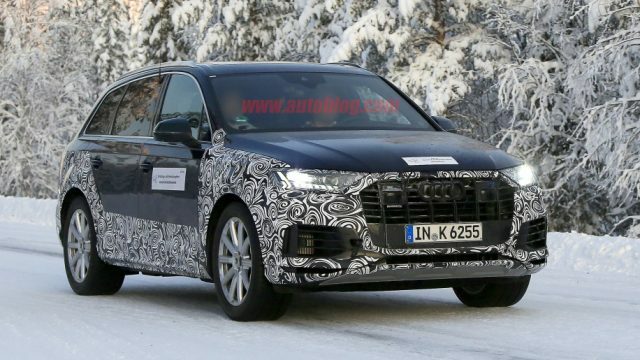 As seen in these spy shots, Audi will be applying its new design traits to the upcoming Q7 so that the whole fleet has a uniformity about their designs. The spy shots also revealed that the 2020 Audi Q7 three-row crossover’s front and rear fascia will be the main areas that receive most of the design work. The first thing that you can notice at the front of this test vehicle in the spy shots is that the headlights of the car are much slimmer than the current model. Also, the corners of the headlights have been pushed farther inwards to give the front of the three-row crossover a rounded-corner profile. The top has clearly been reshaped to complement this change in the headlights of the car. Another noticeable feature in this prototype is that the main grille has been put a bit lower in the fascia. Along with the new headlight design, the grilles repositioning gives the whole front fascia a sleeker look. Let’s talk about the rear fascia now. The taillights have gotten through a similar change as the headlights. The slimmer taillights feature a bright geometric LED lighting element that can also be seen in the headlights. The tailgate, on the other hand, is an entirely different story. First off, the area below the taillights has been pushed inward to match the license plate alcove. The rear bumper has no slot for exhaust tips in the new version. 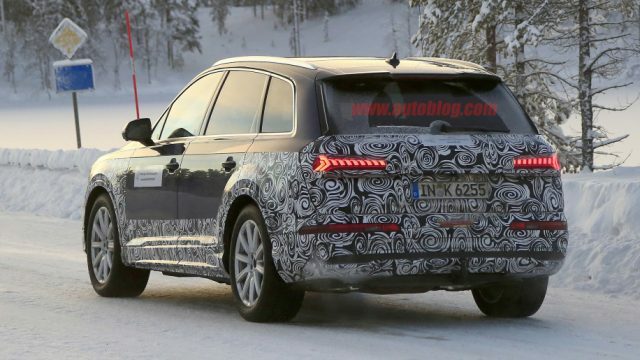 Either the exhaust tips are hidden below or this is an electrified Q7 prototype. 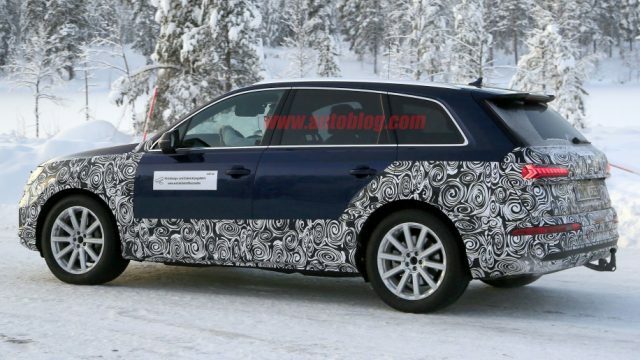 Judging by the drastic changes in the body of the upcoming Q7, we can assume that the interior of the new car will also be revamped. More news will probably follow soon. Stay tuned to PakWheels.com for more updates.